Self Control. (What self control?) This is why my pants are currently too tight. 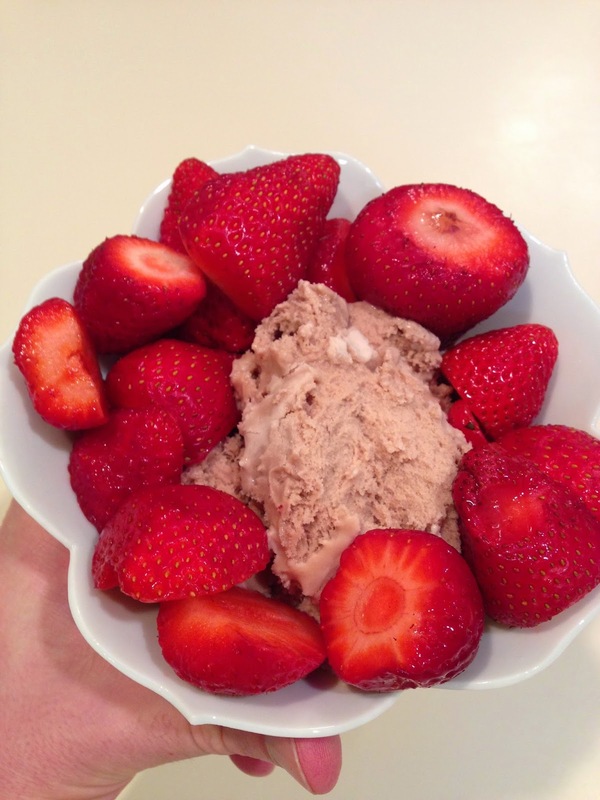 I didn't go to yoga on Sunday (it was teacher appreciation day) and I had homemade chocolate ice cream with fresh strawberries for dessert. That was after we had bacon wrapped jalapeños with supper. My husband and I did break a sweat on Sunday; we did epic amounts of yard work. We tamed the forest of bushes, hedges, and odd overgrowth that was chocking our front flowerbeds. We didn't get around to performing this home maintenance until three o'clock in the afternoon (a.k.a. the hottest part of the day). We had a slow start to our day. We paid the price for our tardiness with the triple digit temperatures. We also filled our front two planters with leafy plants. 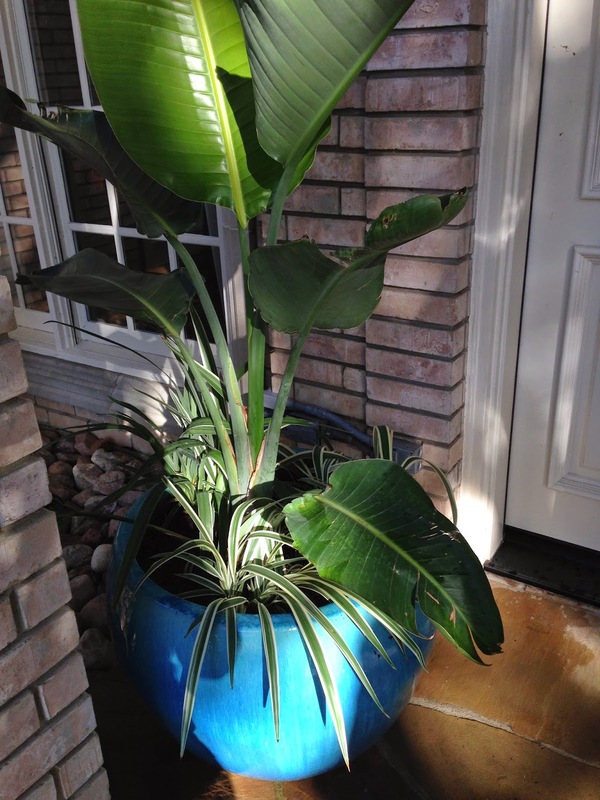 This beautiful blue planter was purchased a year or two ago in Dallas. I never got around to planting it at our previous house. I always adored the exquisite blue color, and that was enough for me. 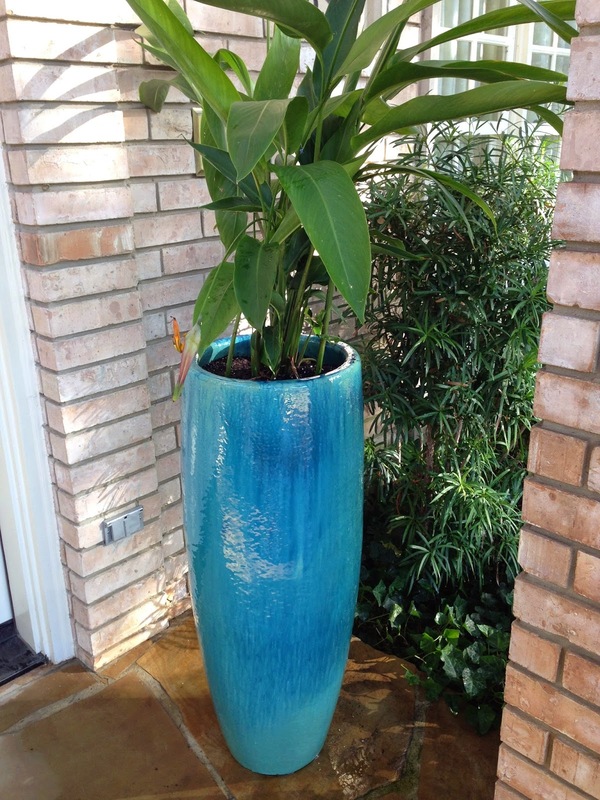 This tall blue planter was purchased a month or two ago, because it matched my other planter. My parents sent me a check for my birthday last month to cover my Music of the Spheres Westminster wind chimes and this planter. The color blue makes me so happy. Adding leafy greens to these planters is a great addition to the front porch. What I've learned is that it can be 103 degrees outside with a ferocious sun in the sky heating up my body and it doesn't matter to me...as long as I'm hanging out with my husband, then in my world it's perfect weather. Any day with my husband is a blue sky and crisp cool air kind of day. I can never get enough of those days.